Be an E-commerce Machine with your WordPress Store. Over the course of the last two months, we have been receiving an influx of requests for e-commerce website projects, which got us thinking…What is a good way to create an e-commerce website? We are finding out many small business owners want a portal that is fairly customizable, affordable, and secure. As a small business owner, their many tools at your disposal for getting your items sold, with each having their own set of pros and cons. The most notable con is the lack of customization. The customizable aspect goes deep, not only in the item description, but the actual metadata (think SEO), and security. For search engine optimization purposes, this can be a tricky problem. Often leaving their online stores void of clicks without having a deeper marketing budget. For security purposes, you will find your users leaving your website for fear data breaches. One solution to create an e-commerce website is WordPress, but that takes a bit more time and knowledge. However, the platform is powerful and covers all of your bases. 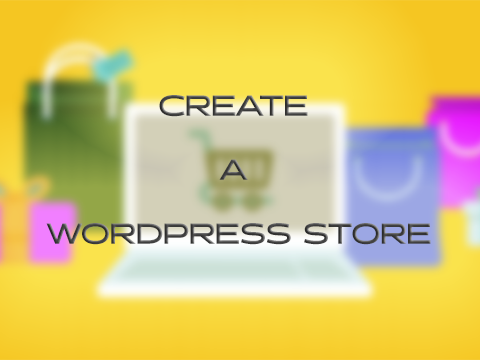 With a WordPress store, you will need a domain name, hosting, SSL, payment portal, content, and your product. There are a wide variety of e-commerce themes to choose from. We suggest something less bloated, and not packed with extra scripts. We have even heavily modified Themeforest.com themes to suit our clients’ needs. Choosing a theme that offers Woocommerce makes adding your items relatively simple. With some know-how, you can enter your product images, descriptions, and have complete control over pricing and options. Woocommerce also incorporates tax information and shipping. A bit of a challenge to design initially, the tax and shipping information can automatically be calculated based on location. A considerably valuable asset for you and the end user, for when it comes time to check out. We have found this to be far more customizable than any other option out there. We would ballpark this process around 4 hours, depending on the amount of tax information you went to implement, shipping locations, and many products being sold on your website. You can save yourself some time with a flat rate shipping and basic tax information. ThemeForest themes cost around $30-50 and a few minutes of your time to install. As far as hosting and domains, we have nothing but praise for our friends at Namecheap. They offer a variety of hosting options, depending on your needs. Your needs will be broken down into how much data is on your website, your website location, your website traffic. Our recommendation would be to start with a basic package, which will run you about $50 per year. At Namecheap, you will also be able to add a domain name. Much like every other domain name providers out there, Namecheap offers competitive pricing, excellent customer service, and no upsell on additional services. With Namecheap as your hosting provider, supplemental forwarding email accounts will be available for choosing. A professional email account is a must, and with several accounts to create, you can organize your transaction process, invoice, and queries. We would ballpark 2-3 hours for buying both the domains, linking any DNS information, and creating email accounts. Once you have your products uploaded, and you are looking to publish, you will need two key components. The first is an SSL certificate, ensuring the end user that your website and data are coming from a trusted source and all of the data is encrypted. You can cheap out, but at what cost? Yes, there are free SSL setups out there, and they can provide some security. However, and a big however at that, is that some browsers (e.g. Safari, Chrome) will indicate that you are on an untrusted website. This could very well deter end users from purchasing from your website. For around $100 (once again depending on your total needs, but $100 will get you the basics) you can have a fully encrypted and trusted source that your end user will have assurance. You want the “green bar” of acceptance on your browser. Not to mention Namecheap offers a resale of Comodo SSL certificates that ensure end users up to 1,500,000 dollars. We ballpark this setup to be around 2 hours of your days time for configuring. Payment gateways are our final aspect of getting you up and selling. With a WordPress store setup, you will have a large selection of payment gateways and plugins. When you go your Woocommerce theme, they are prepackaged for accepting Paypal as your payment choice. Not a terrible platform, as it certainly has notoriety and security, but not everyone has a Paypal account. To broaden your end users payment options, we highly recommend an additional gateway such as Stripe. Both gateways have fees associated with them, ranging from 2.2 to 3.5 percent per transaction. Each gateway offers secure functionality with API implementation and solid customer support. Install, and setup of these gateways should take around 2 hours, including the linking of your bank account to receive payment. Now, remember, this is just setting up the e-commerce aspect of your WordPress store. Realistically there are many other pages you will want to include on your website, which may be a landing page describing your product/service, an FAQ page, a contact form, testimonials and more. At Creative Revolution, we offer our starter e-commerce sites at $700, which includes your hosting, basic domain purchase, secure SSL, payment gateways, landing pages, FAQ, testimonials, contact forms, and more. Feel free to send us an email if you are interested or have any questions. We would love to help you out! Want us to build your WordPress Store?